TEHRAN, Oct. 05 (MNA) – Chairman of Irish Senate stressed Wed. that his country attaches great importance to Iran’s nuclear deal and will disregard US President Trump’s calls for scraping the agreement. The Irish parliamentary official further commended Iran for maintaining such a high level of security and stability while surrounded by so much tension in the region. The governor of Isfahan, for his part, noted the ample opportunities and capacities in Isfahan, saying Iran with a population of 80 million is in fact a gate toward a region with a population of 400 million. “We in Isfahan have prepared ourselves for a glorious reception of one million foreign tourists in the next two years,” Rasul Zargarpour said. 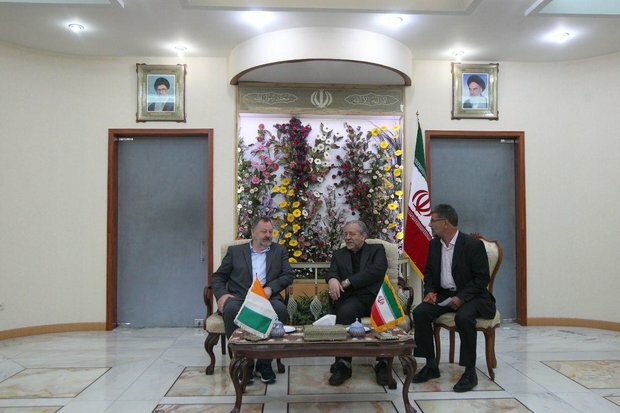 The Irish official had also held a meeting with Iranian President Hassan Rouhani on Tuesday, during which the two sides stressed cooperation in various sectors, including agriculture, industry, tourism, pharmacy and medical equipment, as well as new technologies and communication. Iran, Ireland stress boosting ties, coop. Various grounds exist for expansion of Iran-EU coop.